A collection of four awesome Stuff Happens books in one, from some of Australia’s favourite children’s authors and edited by Susannah McFarlane, the concept creator behind Zac Power and Go Girl! 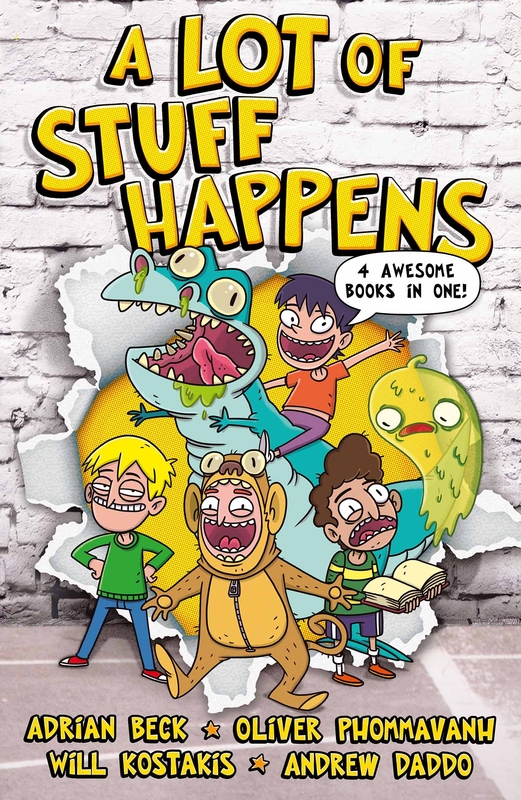 When stuff happens to Ned, Dale, Sean and Ethan at Monvale Primary, it’s just the everyday stuff. You know, friendships, ghost stories, the school play, disappearing hamburgers, new teachers, singing monkeys and lions, the first day at school, flags made of underwear, living up to older brothers and sisters, warring dinosaurs. Stuff that happens all the time! 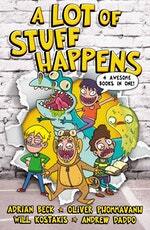 Love A Lot of Stuff Happens? Subscribe to Read More to find out about similar books.